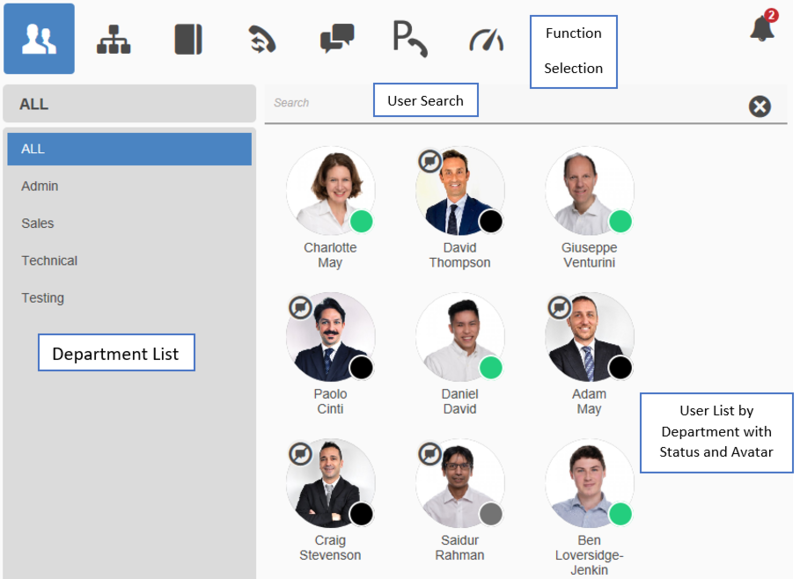 The VOIspeed UCloud UI application is a command console for managing the user’s communication devices (SIP and mobile devices). It is also an instrument for monitoring ones’ own activities and those of other users of the VOIspeed phone system. Therefore, it is not a telephone or a softphone, as one might think: so it does not manage the capture and reproduction of audio from the various devices connected to the PC. This allows the application to be completely disengaged from the sometimes problematic management of any audio devices with a low level of compatibility with the operating system. The UI provides the user with a definitive communication tool with which they can use any type of terminal “adding” advanced functionalities inconceivable with traditional technologies! VOIspeed offers users information in real time on the status of availability and presence. 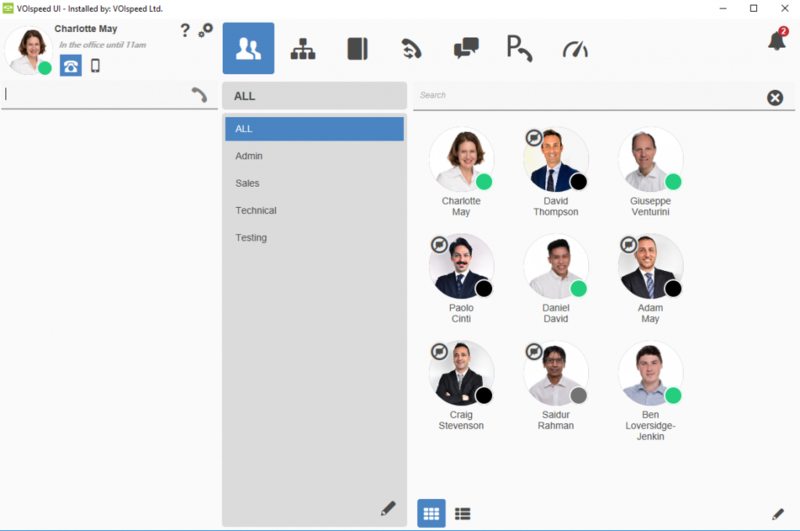 The rapid display gives immediate visibility of the status of a colleague and you can decide therefore whether to contact him/her by telephone, by instant messaging or chat or even by leaving a voicemail. The GUI comprises two panels: the panel for controlling calls and the status of the user who owns the UI, and the accessories panel. The call panel is always visible when the GUI is in the foreground. 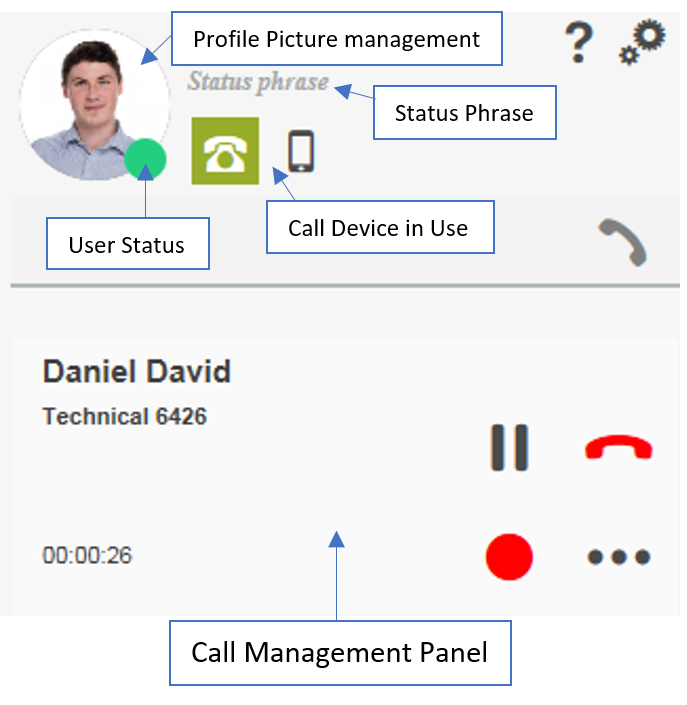 With this panel you can monitor calls in progress, forward calls, put them on hold or create conference calls; you can manage your own communication devices, change the status of the GUI and manage its settings.  This panel also receives notifications of the presence of new messages (chats or short messages), voicemail messages, and missed calls. With the big button below, you can also display or hide the large accessories panel containing the greatest number of the GUI’s functionalities and notification services. 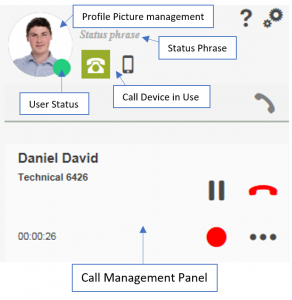 The accessories panel contains all the functions for managing your own VOIspeed telephone settings.